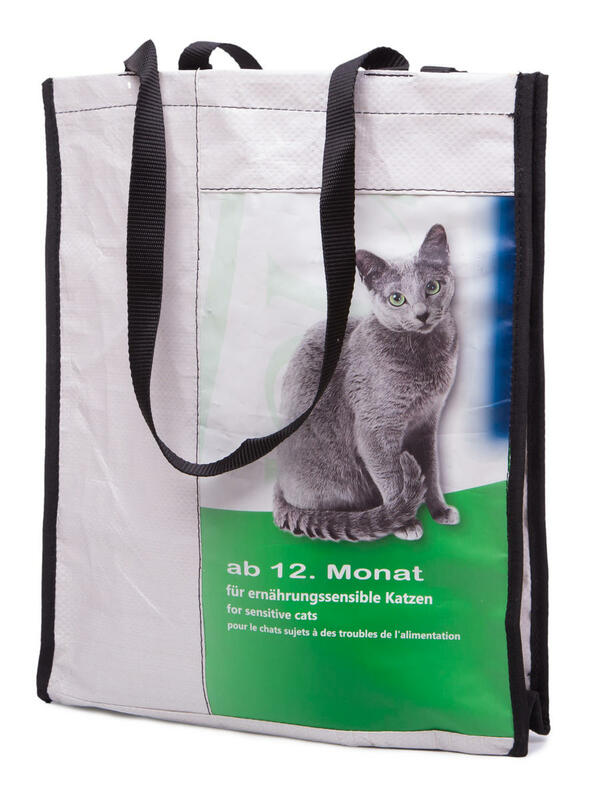 A sturdy bag made from used packaging from our raw materials and animal feed. 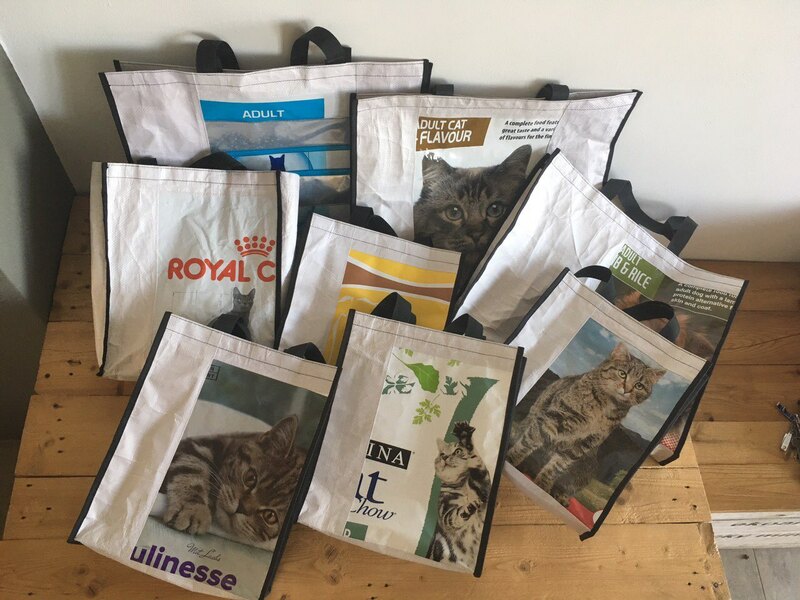 Bags are sewn either with the motif of a cat, a dog or as a patchwork. You can wear this bag over your shoulder. It can accompany you when you do shopping, go to work, or to a picnic on a beach. 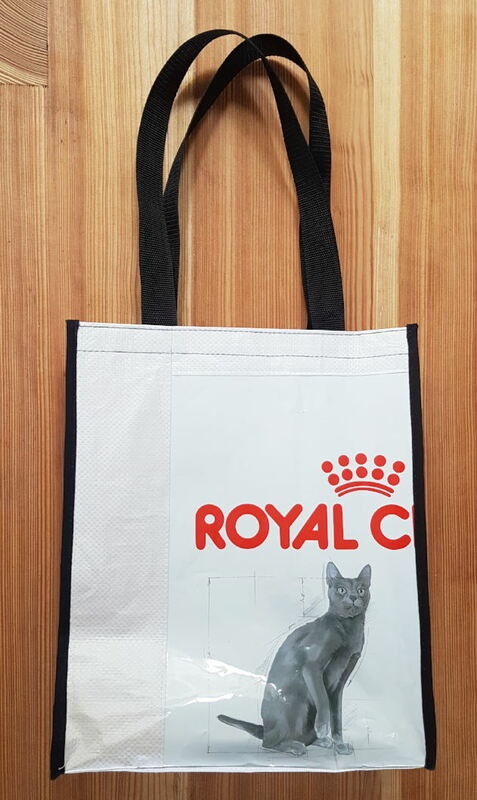 Subject * Product inquiry Recy bag dat/dog design – large (40 × 50 × 10 cm) RMA Misc.